If you’re a lover of traveling the world or have to move across states and countries for business, then you know how draining a long flight can be. 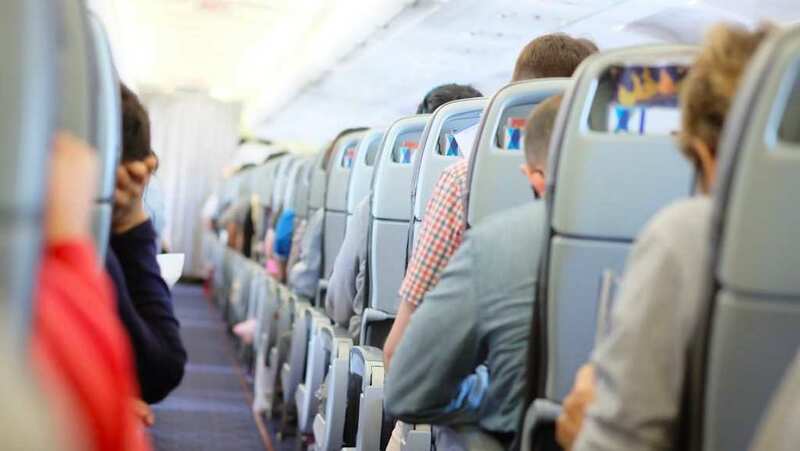 From children kicking the back of your seat while you try to sleep, to some pretty gross airline food, some trips can feel never-ending, but we’re here to give you some great flight hacks to get you through. Firstly, make sure you’re comfortable before you go. Don’t wear a fancy suit – unless you have to, of course – or heels, because you’re not going to be comfortable. Well-fitting jeans or leggings, a baggy top, and trainers are often the best choice so that you don’t feel restricted or in pain during your long flight. Most importantly, never forget a neck pillow – they can be lifesavers on a long journey. A flight attendant has said that they often don’t have enough neck pillows, earplugs, or snacks for everyone, so when someone at the front of the plane wants something with limited stock, flight attendants struggle taking it to them, without everyone else seeing said product and asking for it too, only to be told there’s none left. Therefore, if you sit at the back of the aircraft, it’s much easier to give you what you want on the down low. You’ve got a choice: spend an extra 15 minutes sat down, or queue at the boarding gate a little longer, what do you pick? Well, if you’d have chosen sitting down, next time, get up early! Those who queue nice and early, and are at the front of the boarding gate, get the first pick of possible upgrades. Not all airlines do this, but many will offer reduced discounts just before boarding. If you’re queuing at the front, you’ll have first refusal, and sometimes, they’ll even offer cheap first-class seats! That’s sure to make a long haul flight bearable! There’s nothing worse than having to lug a heavy hand-luggage case down the aisles of a crowded flight. Next time you’re preparing for a long flight, choose wisely. Basic toiletries and spare clothes are a must, as are things to do, like a book or games console – in which case make sure you take a power pack, too; you don’t want to have no battery and nothing else to do. Don’t go overboard though – think about what you’re actually likely to use before cramming it all into your bag. Long flights often give us a lot of aches and stiffness, so take two golf balls on your next journey! Simply place them on the floor, and roll your feet over them to rid of your plane pains. Don’t let go though; we’re not sure the flight attendants will appreciate two golf balls rolling in the aisles. Whether you like to sleep your flights away or play games on your phone, make sure you pack all the essentials while leaving out the useless things. Prepare right, and you can enjoy the best long-haul flight yet.